On the drops for example I see explosions, fight scenes and car chases. In fact, try playing this over a Street Fighter 4 trailer and it fits really well! With this one I bought the acapella from iTunes, whacked it into Fruity and came up with a nice little 2-Step type beat to go around it. From there I played in the bass melody, built a punchy switch-up to contrast with the melodic intro, and seeing as the acapella was free and I was at liberty to do what I wanted to it, I decided to take a risk and make it a little more ‘techno’. I’ve received a mixed response so far, which I’m happy about because at least my music is generating conversations and debates and not becoming stagnant. It fuels me to seek out new methods, techniques and styles. With this remix, the techno element came out of nowhere; a complete freestyle. In a way, this remix was influenced by my first Sidewinder experience a while back. There, for the first time I heard my music in a live environment and it’s made me much more aware of ‘sonics’. I might revisit this techno idea in the future, but for the moment I’m focussing on making music with analogue instruments, branching out a bit from the hard Grime sound I’m known for, but still keeping it true to me. 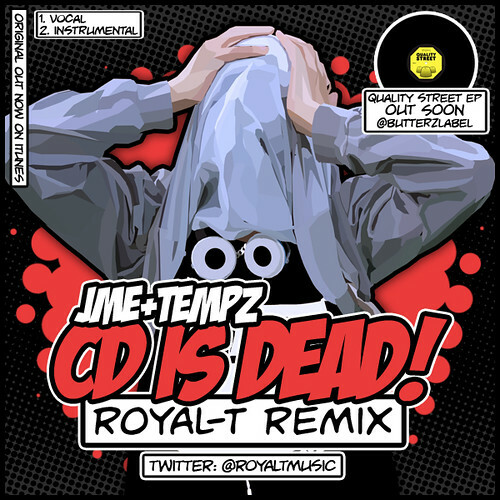 As a big fan of Tempz and JME, I’d really like to work with them in the future. The original CD is Dead edit isn’t hype or downtempo, but is easy to rework into either style as Rude Kid and myself have shown. With my remix I wanted to show what my influence would be should I ever get to work with them. The video is jokes, and I think its inclusion in the download highlights JME’s entreprenurial talent. By including the acapella, instrumental and video, he has created his own guerilla remix campaign, for nothing. 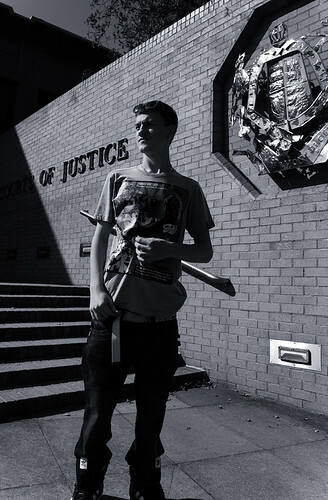 Big up to him for that, that is the kind of savvy Grime needs. P.S. As for a download you’re gonna have to wait a bit for that! Looking about on my hard drive I rediscovered this beauty and decided to give it a little update before releasing it again. I kept the intro quite minimal so it could bang into something hard, but keep a continuous melody and theme so the anticipation builds and builds. In terms of inspiration, Buddha Finger, Storm and tracks from that era had a similar kind of dark energy. This tune is typical of my style – retro touches incorporated into Grime music, although I try and stay away from gimmickry. Sometimes I picture my tunes as backing music for Movie and Game Trailers. On the drops for example I see explosions, fight scenes and car chases. In fact, try playing this over a Street Fighter 4 trailer and it fits really well! The sample is there to break up the rhythm and add focus to the tune. When I first made it, I envisioned Jammer spitting over it because of his appearance on Wiley’s ’16 Bar Rally’. I think he’d suit the early 2000 vibe. My ‘Hot Ones’ remix is released this month on Butterz so go support that! Also watch out for my ‘Air Bubble’ remix coming out soon on limited edition clear vinyl and my ‘Stomp’ remix for Big Shot. I’m also working on my new E.P. watch out for more news on that coming soon! 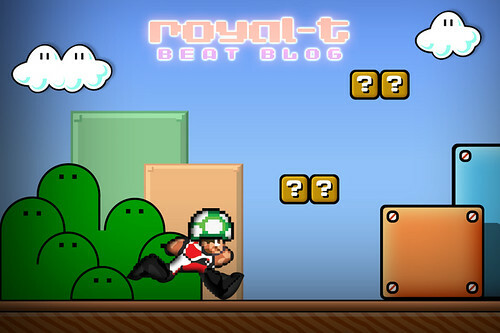 Royal-T’s New Blog Launch on WTTF! Welcome to the Fold are pleased to announce that as from today, Grime producer Royal-T will be contributing an exclusive monthly blog. Here, he will air to the world rarities, sketches, samples, remixes and other work from the Royal T archive. I made this after I had the original instrumental forever on repeat and became quite addicted to it! 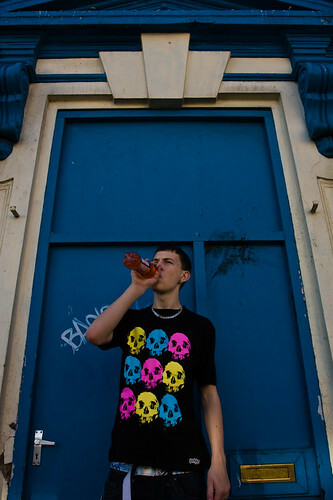 It was one of the first Grime tunes that I really, really liked – not just as a riddim but as a song in general. 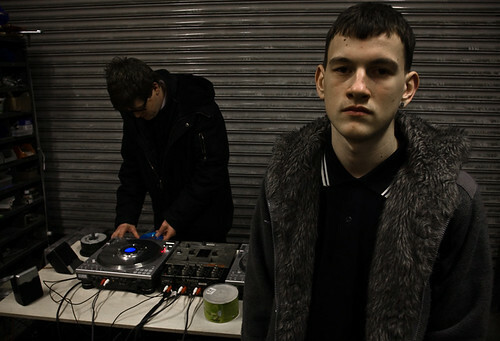 I liked how unorthadox it was, there was no percussion – just Wiley’s noise and space. Despite this it still kept a good rhythm and was just really cool. So in terms of the remix, which I did a couple of years ago now, I just sampled all the different parts and brought it up to date. I made it sound Garage-y by using the subtractor bass, but kept the Grimy edge. Nothing crazy, just a bit of an update as I couldn’t take anything away from the original. I like the novelty of the samples and the orchestral sounds – had it been my beat originaly, I probably would have used Tempz to vocal it! He could ride that halftime and make it punch – just like Next Hype! If anything I wanted this remix to prove that Grime can stand on it’s own, have it’s own ideas and arrangements to sample from. The best bit about Grime is not knowing where to take it sometimes. So, here it is, raw and unmixed for you all!